It’s introduction time! We are SO excited to introduce you to our new interns for 2018! 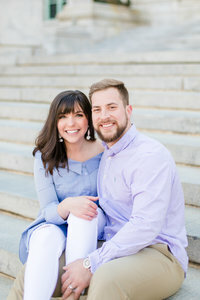 We met up with our dear friend, Megan, from Luck & Love Photography, this past Saturday at the United States Naval Academy for some head shots and creative fun! First up, Gracie! Gracie will be interning us for the spring wedding season this year. She’s a determined, hard working, honest creative who enjoys learning and loves Jesus! Best news yet – she just got accepted to attend VCU in the fall!! We found out that we know a ton of mutual friends because we go to the same church! Tony and I used to attend church regularly at New Life in La Plata, but we have started to shift our sunday’s to New Life in Calvert as one of Tony’s best friends is the main pastor there! One of Gracie’s good friends went on a mission trip with us to Haiti as well – if you’re from Southern Maryland, you understand me when I say that we live in a very small world and EVERYONE knows everyone. Which brings me to our sweet Tara! We had always wondered why she looked so familiar – but it’s because she has model for our other photographer friends quite often! She’s our little ball of energy and sunshine! Tara is our fall intern for 2018 and can’t wait to experience growth in her photography career. She’s taking this internship as time for HER – because every momma deserves to be a little selfish with her time. 😉 Tara has started her own photography business and wants to further her education and growth as a photographer. She’s a go-getter, wears her heart on her sleeve, and we’re so excited to call her OURS for the fall season! Welcome to the #CostolaFamily, you two! We’re thrilled to call you both our friends and part of our team this year. We are so proud of you and can’t wait to teach you #allthethings about wedding photography and serving our couples well. !